As fate would have it, my studio has been drenched. I had to dispose of many bookcases, supplies, books, amongst dealing with damaged goods. I haven’t had as much time to work on Rander stuff since I don’t have anywhere comfortable to work, so this week I am going to share something I was going to wait on. But why not get it out there today! 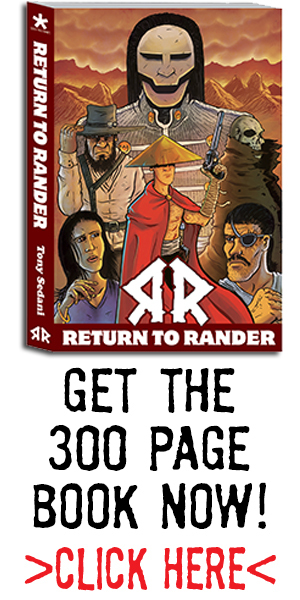 Here is the finished cover to the upcoming Return to Rander 300 page complete edition! Let me know what you think!